There’s a whole lotta love in this picture. It’s our first-ever combination CUSTOMER PICK and STAFF PICK! 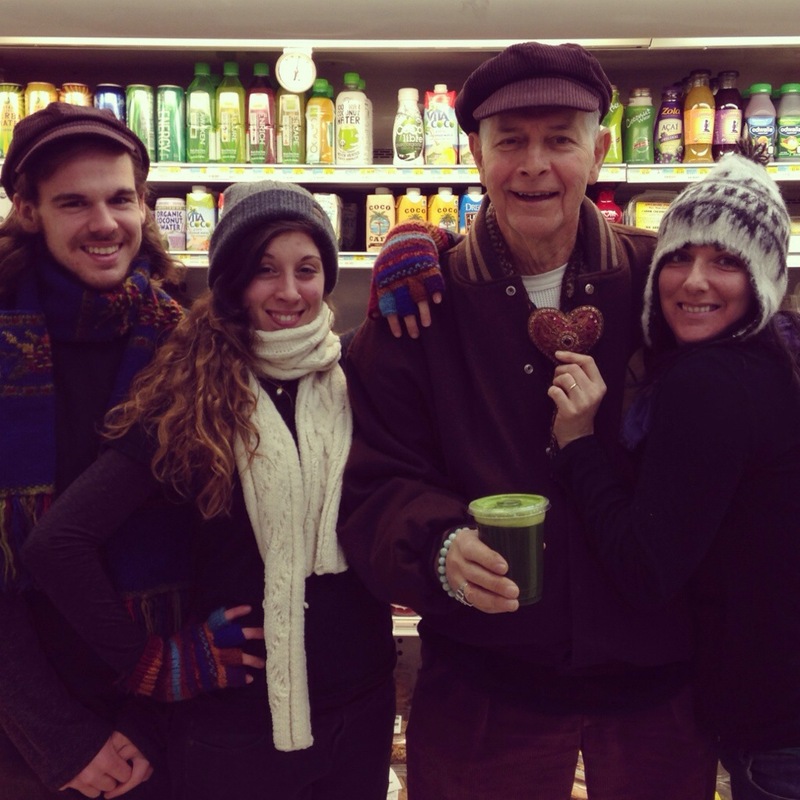 Our dear friend Henry is pictured above holding his favorite fresh organic juice, our Lean & Green! It’s packed with dark leafy greens, cucumber, celery, and green apple. He makes sure to stop by for one just about every day. And Andrew, Kaitlyn, and Lauren are modeling some of our super cozy woolen outerwear! We’ve got lots of colorful woven items in stock right next to our juice bar, so feel free to try some on next time you’re waiting for your juice, smoothie, or wrap! This entry was posted in Customer Pick, Staff Picks, Stuff We Dig and tagged gloves, green, hats, juice, Lean and Green, mittens, scarves. Bookmark the permalink.